Available in newsagents such as WH Smith is the latest issue 2 of the Infinity sci-fi magazine. This issue features a six page article on Land of the Giants "Good Things Come in Small Packages" by author Jon Abbott. 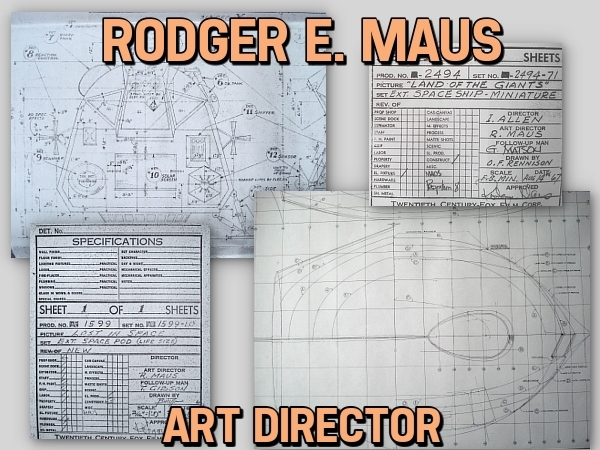 We have learned the very sad news that Emmy award winning and Oscar nominated Art Director and Production Designer Rodger E. Maus, who worked for many of Irwin Allen's productions, passed away last month (16th March 2017) at the age of 84. You only have to browse around our site to see the results of his work, be it the design of the Lost in Space Space Pod or the sub-orbital spaceship, the Spindrift, from Land of the Giants. 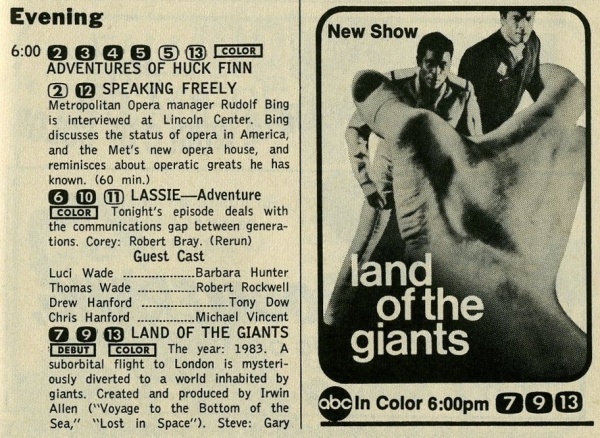 Land of the Giants is back in the UK on the Horror Channel on weekdays at 12 pm and 8pm starting on 19th September 2016 (Freeview 70, Sky 319, Virgin 149, Freesat 138). 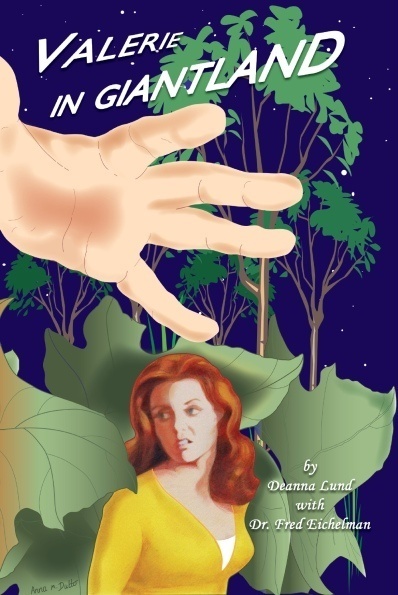 Deanna Lund is being interviewed on "Cult Radio A-Go-Go! Live" ; a.k.a CRAGG Live at 7pm PST, Saturday 20th February 2016. Check their archive for interview in the next few days. We have had several very sad years of caregiving and family bereavements, and the news of Don Matheson passing away on 29th June 2014 shocked us and left us feeling like we had lost yet another member of our family, so close have the Land of the Giants cast been over the years. There are so many fine things to remember about Don. 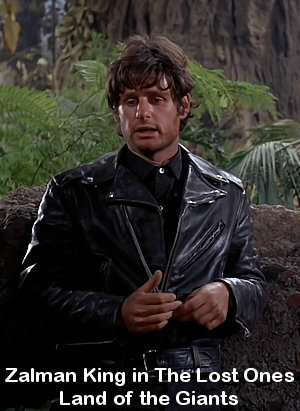 His warmth, his humour, his respect for family, friends, colleagues and fans, his considerable catalogue of acting work, and not the least for readers here, his portrayal of Mark Wilson in Land of the Giants. 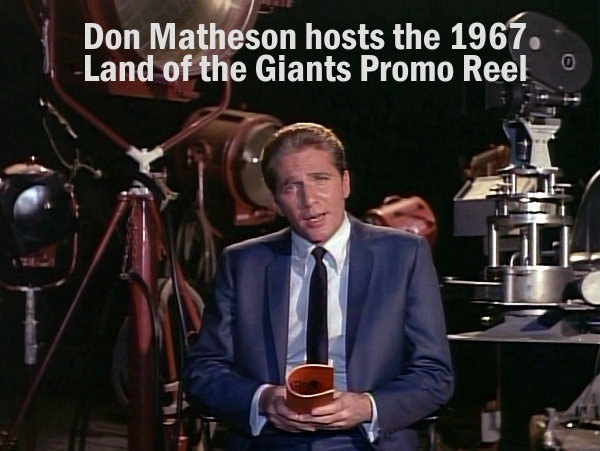 Don was the first "face" of Land of the Giants, appearing in the 1967 promotional reel that Irwin Allen produced to sell the concept of the show. Irwin Allen then cast him as businessman and engineer Mark Wilson in the series which ran for two years. Don gained far more than most from appearing in Land of the Giants as this is where he met his future wife and lifelong friend Deanna Lund. The couple married shortly after the series finished and had a daughter, Michele, in the early 1970s. 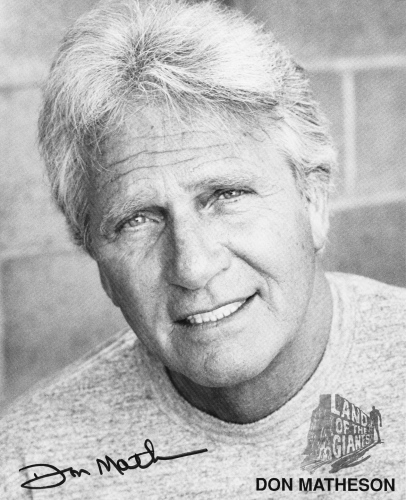 As early Giants Log members will know, Don joined us for a very special reunion of Land of the Giants cast members in 1991, and his humour shone through that day as he regaled stories of times past on the set of the show. 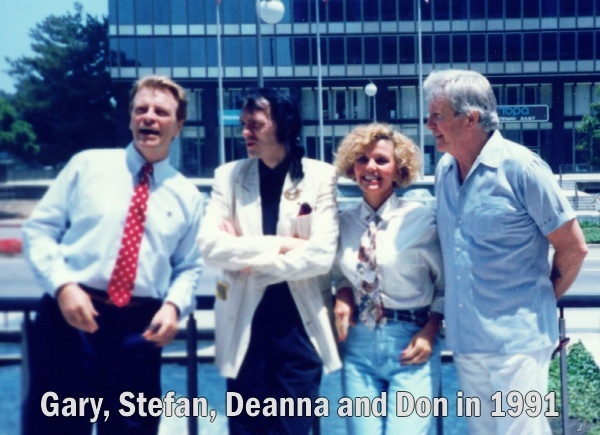 The energy generated from that reunion and Giants fandom in the early 1990s lead to the cast coming together for several conventions in the following years and Don was always a hit in the question and answer sessions with great banter between him and his cast mates. 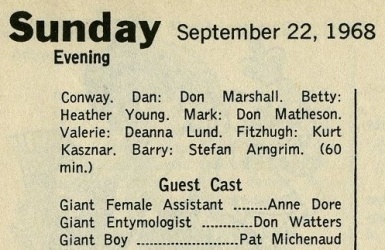 In 1995, Don joined cast members in The Fantasy Worlds of Irwin Allen documentary which paid homage to the Land of the Giants creator. 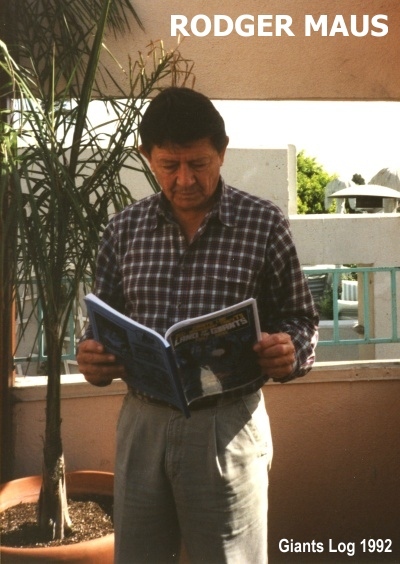 This was followed by gatherings at the 1998 Return to Earth convention which celebrated the new Lost in Space movie, and several visits to the Hollywood Show in Los Angeles and Las Vegas and the Chiller Theatre convention in New Jersey. With the release of Land of the Giants on DVD, the series gained a new generation of fans, and the cast all gathered together in April 2011 for a special commentary recording for the British DVD release. All six of the cast sat in a recording studio, whilst Giants Log watched and listened in via Skype, and discussed and recalled their memories of making the pilot episode, The Crash. This unique occasion will be a lasting snapshot of the Giants "family", of which Don was an integral part, laughing and having fun together. Jamie Fox appeared on The Ellen Show a couple of weeks ago and he declared how scared he was of spiders and how the giant spiders on Land of the Giants freaked him out when he was growing up. Actor, writer, director and producer Zalman King died on Friday 3rd February 2012. To the Irwin Allen universe, he is best known for his role as the feisty young man, Nick, in the Land of the Giants episode The Lost Ones. Season 2 of Land of the Giants is out on DVD in the UK on Monday 13th June 2011. Here's the press release. Note that the Irwin Allen night is being held on the eve of the Royal Wedding so transport in London may be pretty busy on the Friday, so allow extra time for returning home. Gary Conway and Don Marshall are lined up for the Hollywood Show at the Burbank Airport Marriott Hotel and Convention Center on 2-3 April 2011. Visit the Hollywood Show site for more details. The A Team movie opens in the US on 11 June 2010 and features Stefan Arngrim as a mental patient. The A Team will open in the UK on 30th July 2010. GIANTS LOG celebrates 20 years this year and we are planning a number of fun projects to mark the occasion. If you would like to participate, please contact us. We are also thinking of arranging a get-together for members in London. 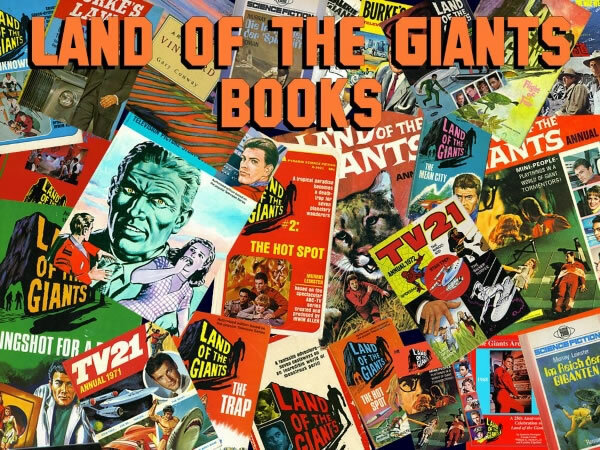 If you are a member of Giants Log or The Irwin Allen News Network and would be interested in joining us, please drop us a line with your name, address, phone and email and we will keep you informed of any potential gathering. We have added two new Flash galleries with a full screen option. Click on the following images to visit the galleries. There is a play button for running through these slide shows, and in still mode you can use the left and right arrow keys on the keyboard to go through the pictures. We have added a recent interview for Stefan Arngrim on his web site. It is called Ten Questions for Stefan Arngrim. The latest Santander commercial featuring Lewis Hamilton has a strong Land of the Giants theme with Hamilton driving around a Scalextric set. 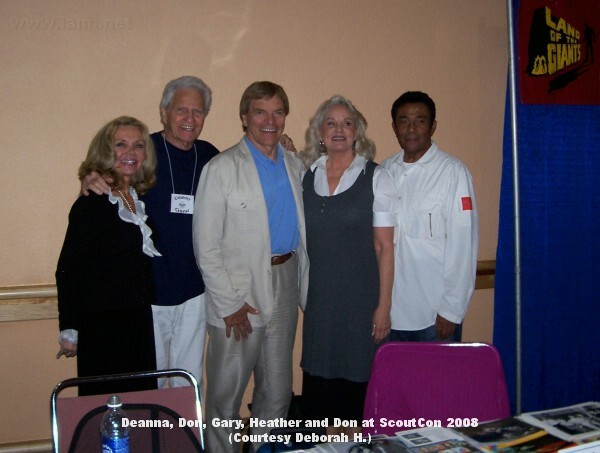 Deanna Lund, Heather Young, Gary Conway, and Don Marshall from Land of the Giants attended the 17-19 April 2009 Chiller Theatre convention in New Jersey. 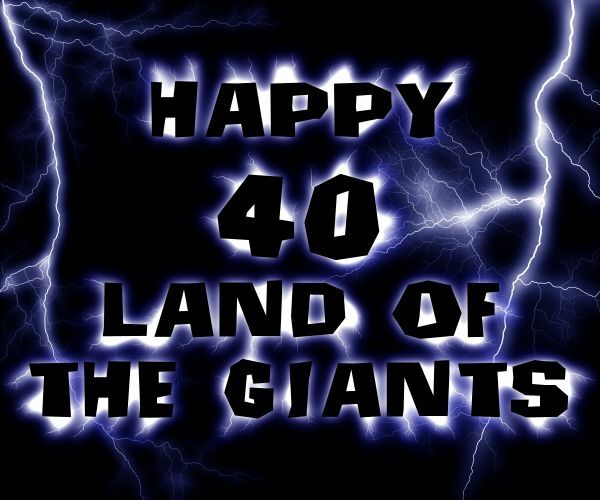 Yes, Land of the Giants is officially 40 years old, and doesn't look a day over 20! 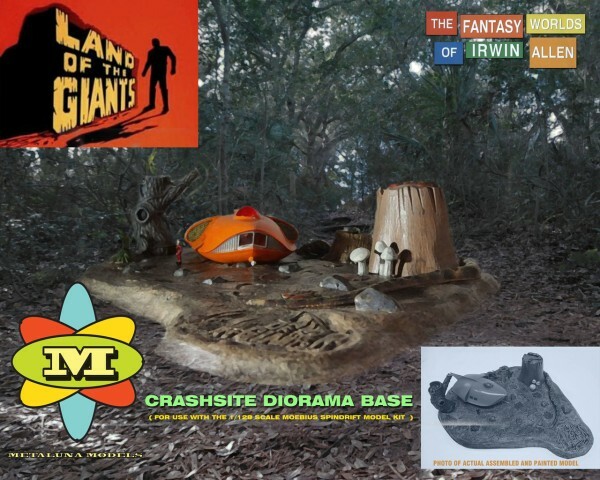 Tin10 Collectibles™ are in the process of releasing some fabulous Irwin Allen collectibles including a reproduction of the 1960's Land of the Giants lunch box. For more details on these collectibles, please visit the Tin10 web site. These new, very reasonably priced collectibles are also available from FabGearUSA. 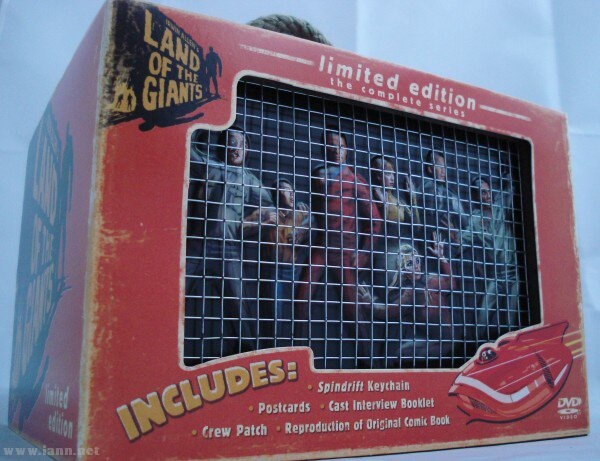 A great credit crunch beater present idea for Christmas, birthdays, and other special occasions such as the 40th anniversary of Land of the Giants! The new season of The IT Crowd starts on Friday 21st November in the UK on Channel 4 at 10pm (we believe that US channels will be airing the show at a later date too). 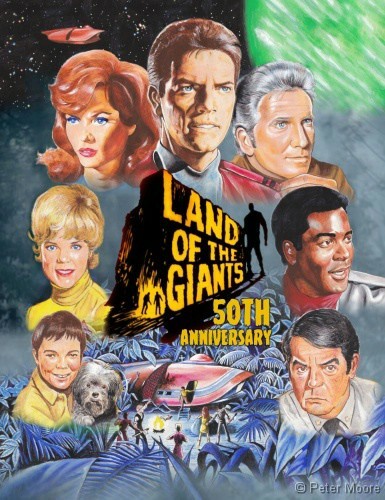 The special limited edition, complete 2 season box set of LAND OF THE GIANTS is a super addition to any television fan's collection. The box set features all 51 episodes plus a really good quality version of the unaired pilot episode. 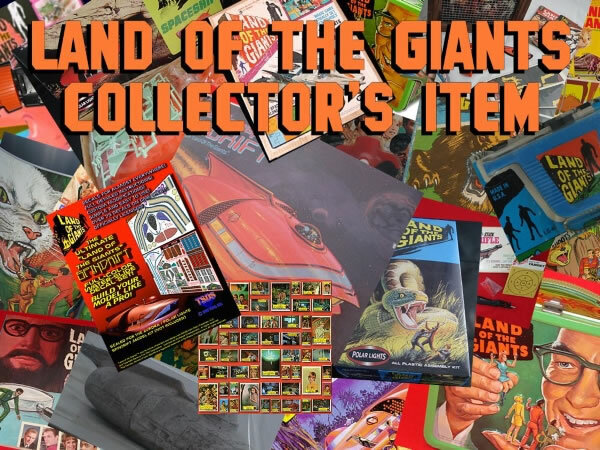 Best of the bonus items are the Irwin Allen home movies on the Land of the Giants set and the 1995 interviews with five of the cast members.